Did you know that preventative tree care can save you thousands of dollars in potential damage or expensive tree removal services? 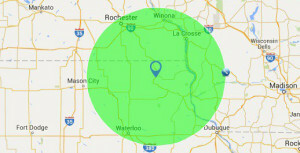 At Stevenson Tree Care, we provide commercial tree care services in La Crosse, Rochester, Cedar Falls and Decorah,IA. Our commercial tree care services are tailored to meet your property’s needs and all tree care services are performed by ISA Certified Arborist’s that specialize in holistic tree care.